British architecture organization Architects for Social Housing (ASH) has published an alternative take on the Grenfell Tower memorial proposed by architecture studio JAA earlier this month. 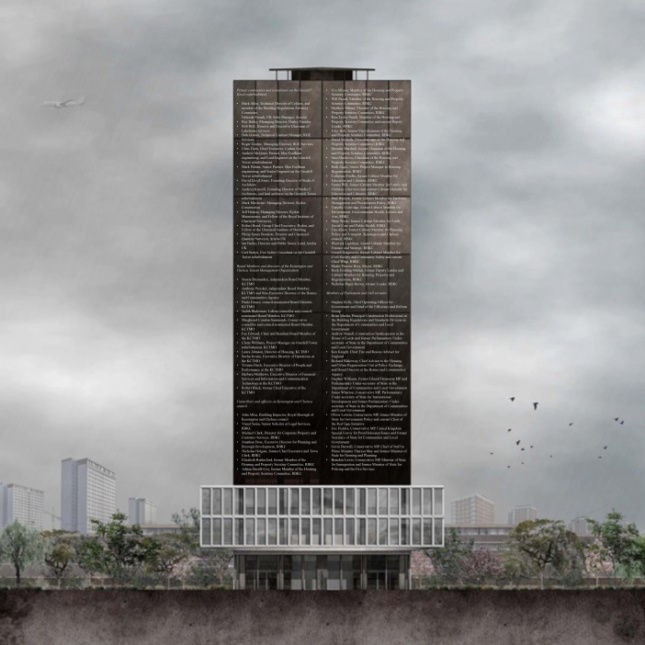 While JAA’s proposal covered the shell of the burned-out building in slabs of black concrete, ASH’s vision covers JAA’s design with the names of public and private officials ostensibly responsible for the disaster. The ASH proposal taps into public outrage surrounding the event. 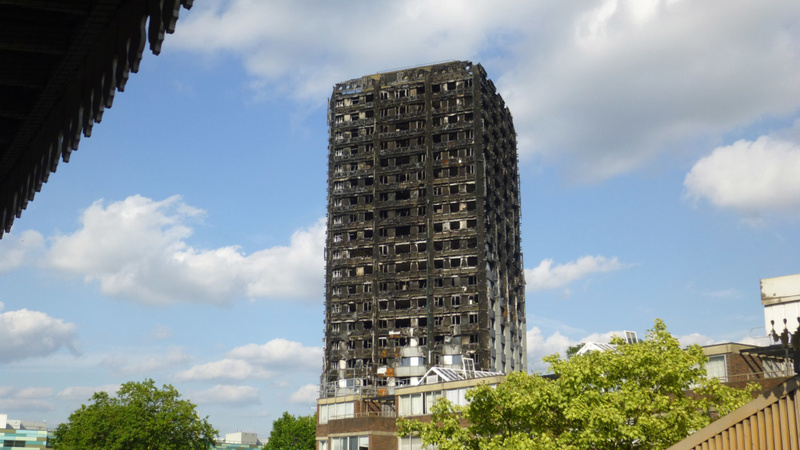 In its aftermath, many of those affected and others across the U.K. accused the local authorities and Prime Minister Theresa May of being insufficiently concerned about the wellbeing of the residents of public housing projects like Grenfell. A public inquiry into the causes of the 2017 disaster, in which 71 people died, started this summer, but no one has been held responsible.